December 1, 2015: State Representative CD Davidsmeyer (R-Jacksonville) participated in a listening session with Jim Schultz, Director of Illinois Department of Commerce & Economic Opportunity, and members of the Jersey County Business Association. 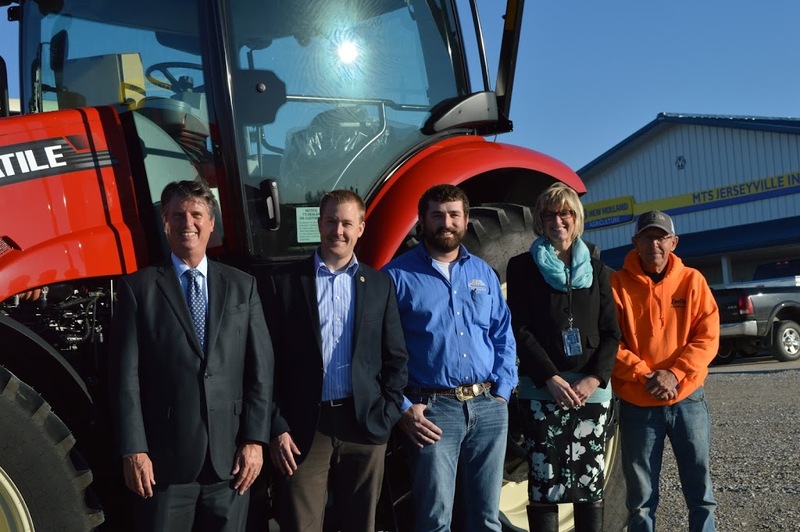 The discussion was held at MTS Jerseyville, Inc. (New Holland – Agriculture). Pictured from left to right: Director Schultz, Rep. Davidsmeyer, Adam Heitzig (MTS Jerseyville), Superintendent Lori Hopkins (Jersey CUSD #100), and Mayor William “Bill” Russell.